If you’ve read some previous posts, you may think I’m an innovative thinker in the kitchen, way ahead of my time with culinary exploration. Or you think I’m weird. I have tried some interesting recipes, and they came out so delicious (see Chocolate Silken Mousse and Caramel Cheetos). So, I’ve made another interesting recipe this week. It may scare you because it’s a bit out there, but it’s one of the most delicious cookies I have ever had. Chocolate chip potato chip cookies. There, I said it. These cookies are wonderful. They are not what I expected, but they are perfect. The cookie itself is similar to a buttery shortbread, not a sugar cookie or chocolate chip cookie. The cookie melts in your mouth, and it isn’t very sweet. The chocolate chips add the sweetness to the cookie, so you can adjust how many chocolate chips you’d like. The potato chips make this cookie, in my opinion. They add a crunchy, slightly salty, texture to the cookie. I love sweet and salty combinations and this nails it. I know it seems weird, but it tastes perfect all together. This cookie dough is really easy to make. The first step requires a hand or stand mixer. 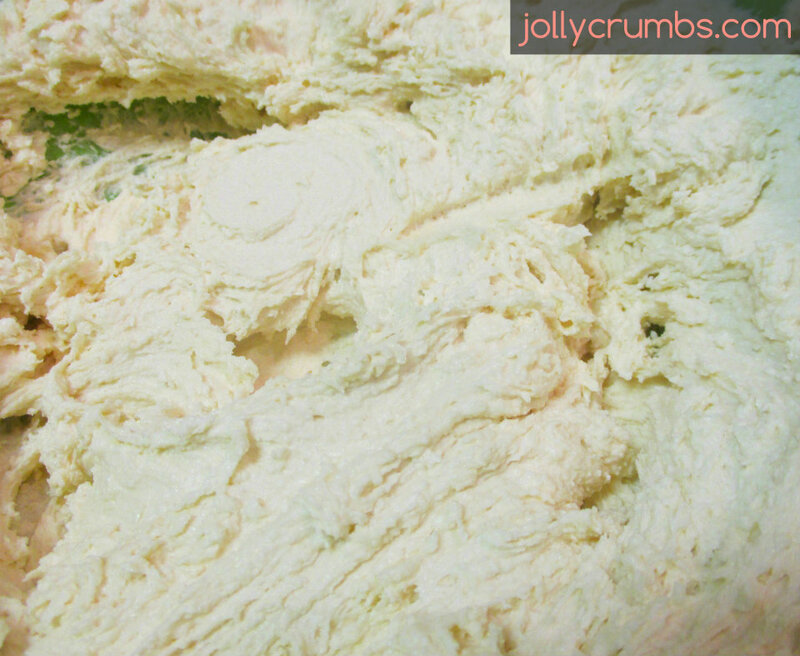 You will need to cream softened butter and sugar together until smooth. Add in the vanilla and flour and beat again until well blended. Next, you will need to stir in the crushed potato chips and chocolate chips by hand. I used a spoon, but a silicone spatula would work as well. You just want to fold the potato chips and chocolate chips in so they are well incorporated. Don’t use a mixer because it will crush the chips. Once you have mixed in both kinds of chips, drop the cookies onto the prepared pan in spoonfuls. Use a spoon and place rounded teaspoons of batter onto the pans. Place the batter about two inches apart because these do spread slightly. Bake the cookies for 20 to 22 minutes. The edges of the cookies should be a golden brown, and the centers of the cookies should be light. You may thing they are underdone, but they firm up as they cool. Transfer the cookies to a cooling rack to cool completely before enjoying. These cookies are delicious. They are buttery like a shortbread, and they are not overly sweet. 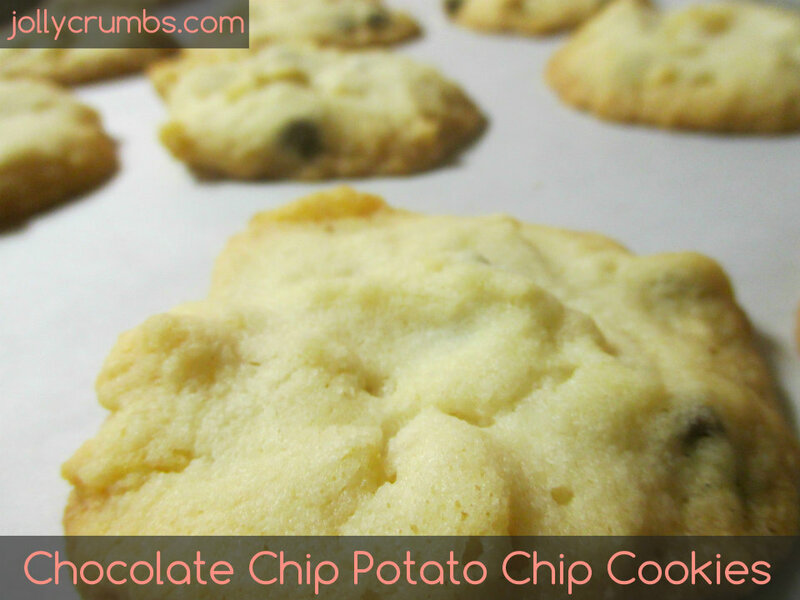 The chocolate chips with the potato chips make these cookies a little addictive. I saw Samuel with a stack of these bad boys and a glass of milk. And he is not a cookie kind of guy. The crunch of potato chip and the richness of the semi sweet chocolate work perfectly together in this cookie. You may fool a few people that this is a delicious buttery chocolate chip shortbread. But then comes the slight crunch of the potato chip. These cookies are ridiculously delicious. I promise you will love them! Preheat oven to 300°F. Line a baking sheet with parchment paper, silicone baking sheet, or spray with nonstick cooking spray. In a large bowl, cream together the butter and sugar together until smooth. Add in the vanilla and flour. Mix until well blended. 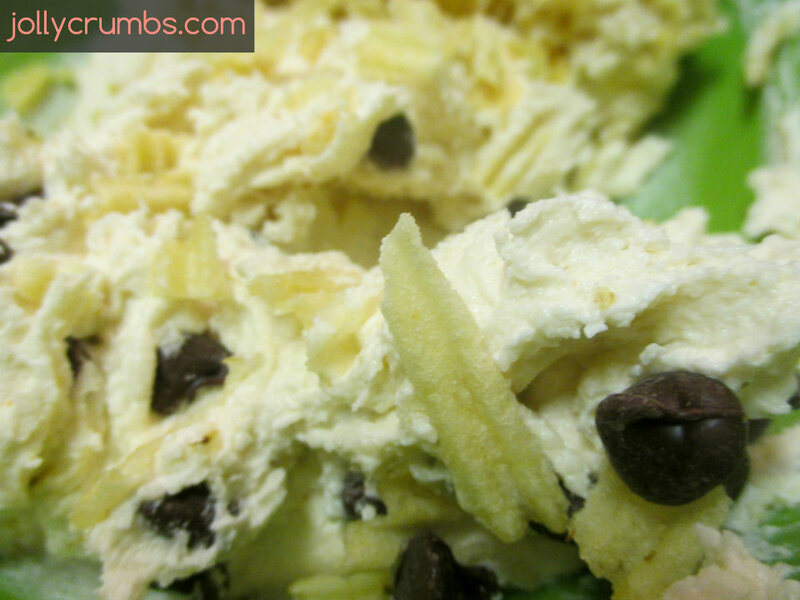 Stir in the crushed potato chips and chocolate chips with a spoon or silicone spatula. Drop cookies by spoonfuls on the prepared sheet (about a rounded teaspoon in size) about two inches apart. Bake for 20 to 22 minutes or until light and golden brown around the edges only. Transfer to a cooling rack to cool completely. I made these cookies the other night and halved the recipe “in case” we didn’t like them, Well I am disappointed because they are almost all gone already. Everyone here loved them so should have just made the whole batch! Haha glad to hear they were a success! I know they seem strange but the combination is surprisingly delicious. Sam also ate quite a few, even though he originally snubbed his nose at them.